Hungry Jack's Delivery. No Minimum Spend. 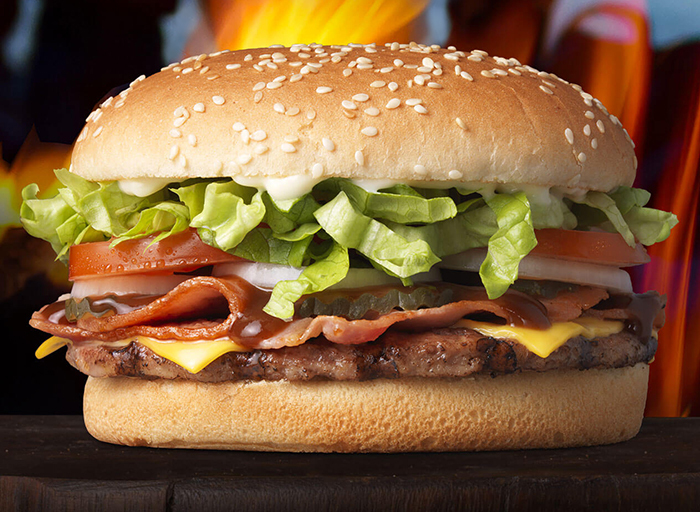 Get Hungry Jack’s delivered to your door! When the craving hits for a flame-grilled Whopper, you know the only way to fulfill that urge is get your hands wrapped around a Hungry Jacks famous, juicy burger as soon as possible! At Hungry Jack’s, you’re guaranteed that the 100% Aussie beef burgers are better, and brimming with the smokey barbeque flame-grilled goodness ‒ and none of those nasty added hormones, preservatives, additives, colorants or fillers. It’s been nearly 50 years since Hungry Jack’s first introduced Australians to their Whoppers, all the way back in Perth in 1971. Fast-forward to today, and there are over 390 stores in the country. Now, Menulog can bring your favourite menu items to you. Do you need to feed a houseful of hungry people, all shouting for burgers, fries, nuggets, cold drinks and ice-cream sundaes? Your dilemma can be easily fixed, simply by ordering Hungry Jack's through Menulog. You can even order Box Meals, a perfect way to get all your faves in the perfect package. If you prefer love chicken, Hungry Jack’s also has a range of chicken burgers that are deliciously satisfying.